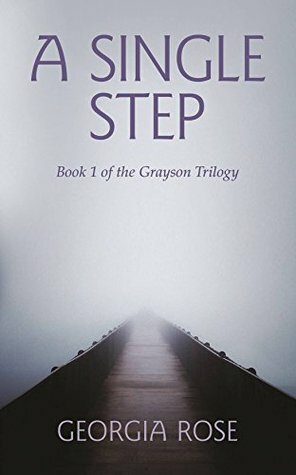 Welcome to Day 5 of Mystery November , our guest today is Georgia Rose and her book A Single Step. I suppose it’s Huntingdon in Cambridgeshire as that’s my nearest town, and I’ve lived here for 28 years, though as it’s still more than 10 miles away it doesn’t feel much like home. The town that I know best is Bedford because, although I didn’t ever live there, my school life and then the first 12 years of my working life were there so it feels more like a home town to me. I haven’t moved far have I! I’ve only been writing fiction properly since 2012 when the story that I’m now telling came to me during one glorious week while lying on a sun bed in Gozo. Everything just slotted into place and whilst I’d made the odd feeble attempts to write something in the past, which had never made it past the first page, this time it seems it was meant to be. The beginning, middle and end came together and I’m now just hoping I can do it justice by holding it all together for the entire trilogy. I like all sorts if I’m reading it, particularly a gritty psychological crime thriller but I guess from a writing point of view it has to be romantic suspense. When I was first coming up with this story I wanted there to be something more to it than just a romance. I like there to be darkness in the backgrounds of my lead characters and a gradual building of suspense throughout, which I’m now finding a challenge to sustain over the three books. Where is A Single Step set? The setting for A Single Step is completely fictitious. Emma starts out in a village called Crowthorne but most of the book is set on the glorious estate of Melton Manor, near the village of Melton. I can see it vividly so in a way it does upset me that I can’t actually go and visit it but I also think that’s what people enjoy when they read it. Many have mentioned how they’ve loved the setting and because there are no preconceptions of it being in a particular place that can be however it’s conjured up in your mind. What has happened to Emma in the past? I don’t want to give too much away here but Emma has had a tragic past. Orphaned at a very early age she grows up and settles down only to face a loss so tragic that any of us would have great difficulty getting over it. How does she take a step back into life? With a little bit of prodding she applies for a new job at Melton Manor to manage the stables and while she goes there, with her faithful dog Susie, thinking that this is a place where she can live the solitary existence she longs for, when she gets there she finds she doesn’t quite get the isolated life she was expecting. What is the mystery element in this book? I don’t want to draw too much attention to some of the elements but the main ones are that right from the interview Emma attends there is an air of mystery about the estate. While on the surface it runs as an everyday agricultural enterprise there is more to it and as Emma gradually comes out of the darkness of her previous life she becomes aware that not all is what it seems.Also I have told this story in the first person so we know nothing of Trent’s background and the repercussions of this are not found out until it is almost too late and Emma is in dreadful danger. It’s a mystery and a romance, does the story continue in the next book? Yes it does. I think I’ve finished this one off so you’re full and satisfied when it ends, but, there are a few loose threads in there that while you’re not left feeling irritated with the lack of answers do leave some questions hanging. Well having launched the second book in The Grayson Trilogy, Before the Dawn, a few weeks ago I’ve just started on the concluding part, Thicker than Water. The story is all formed in my head; it’s just the small task now of getting the words down. 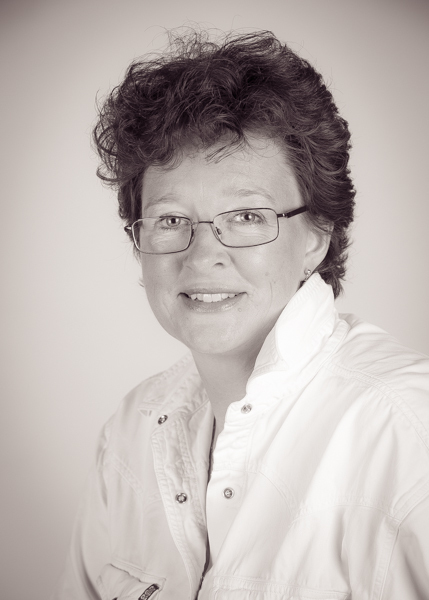 I have a website and write a blog at www.georgiarosebooks.com and you can follow my blog or contact me via this website. My Twitter handle is @GeorgiaRoseBook and I can be found on Facebook at georgia.rose.books, as well as on Google+ and Goodreads. I’m sure it will add to our psychedelic scheme. Anyone got any marshmallows? I think we’ll need some Hot Chocolate to warm us all up later. I do actually, I’ll just pop off and get them – yum!! Great interview, Georgia and Rosie! Congrats on publishing your first novel. It sounds like a great read. NO, Rosie, you’ve got it wrong! Who is that woman? Georgia is a blue rose, honest she is!!!!! Hahahaha!! Very funny Terry…I knew I’d have to appear eventually, creeping out from behind my books. Rosie forced my hand, as it were!! Day 5 and having a wonderful trip – Wish you were here along with us. Thanks so much for sharing Ethel, look forward to meeting you further on! A great interview, Georgia – love the sound of The Grayson Trilogy. I wonder if a sun-bed in Gozo would work for me when I’m stuck. Absolutely June, it’s a fabulous place where your imagination can run riot – I can highly recommend 🙂 Thanks for your lovely comment! I read A Single Step and enjoyed it. Georgia must ride because the stable and riding scenes plus the riding lessons were very accurate, based on my experience of following my daughter’s riding “career” when she was younger and the horses we had. Good job! Another great interview and questions. Looks like an interesting read. best of luck to the author. Terrific interview with one of my new author faves!